Made in Florence, Italy, this soft 6″ X 9″ leather journal with an embossed Fleur De Lis is perfect for writing, sketching or as a travel journal. The plain cotton pages have a deckled edge which gives the journal a distinctive look. 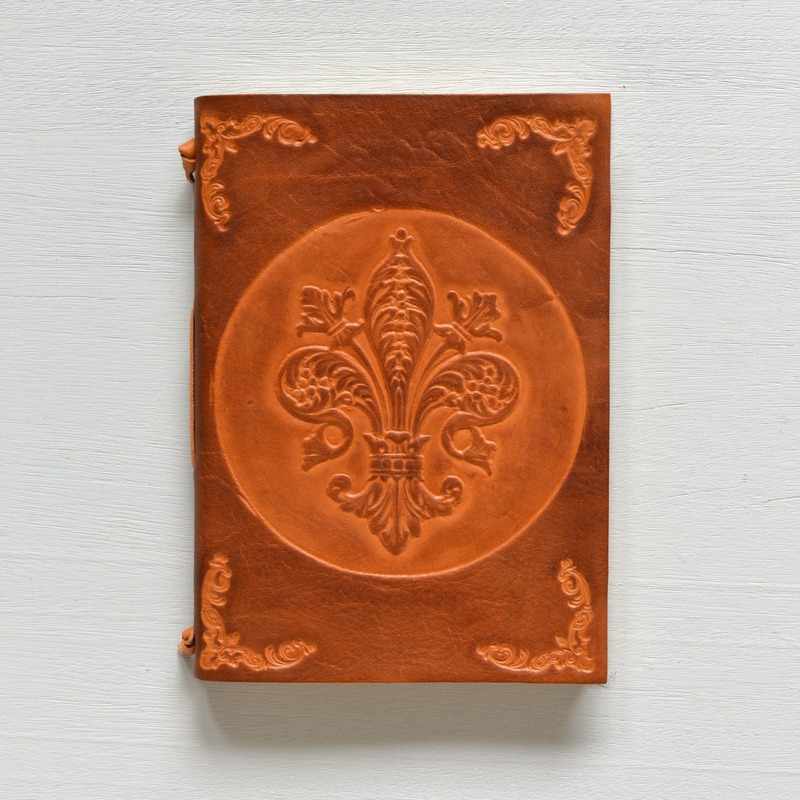 A leather page marker makes keeping your journal on the correct page a breeze.